The best thing about the Sembrandt SB750 is the fact that it's very affordable compared to the value it gives in your living room. With the advent of svelte TVs, our entertainment system has never been the same. All the peripheral devices in our entertainment hubs are becoming sleeker on top of providing high fidelity audio. The Sembrandt SB750 is one of the best in it's class. Coming from the affordable section, it's one of those brands that gives great value for our money's worth. The Sembrandt SB750 is engineered with Epic Surround Experience which we will talk about in this in-depth review. The Sembrandt SB750 soundbar registers as a svelte device in it's price standpoint. It is a black 32-inch triangular bar which is void of all buttons when looking at it up front. The plate of buttons are located in the right side of the device, these include all the regular buttons you'll need to operate the device. The right portion also comes with an LED indicator which flashes different color hues depending on the state of the device. It's definitely stylish in it's own right. We have tested the Sembrandt SB750 in different modes with varied type of titles. The 40W output power is ideal for audiophiles. With the SB750 having this output power, it punches a clear seperation among lows, mids and highs. In higher frequencies, the Sembrandt SB750 gives an average performance compared to the other soundbars we've tried. Sharp details are noticeable but there are times that I groped to feel it in my ears. 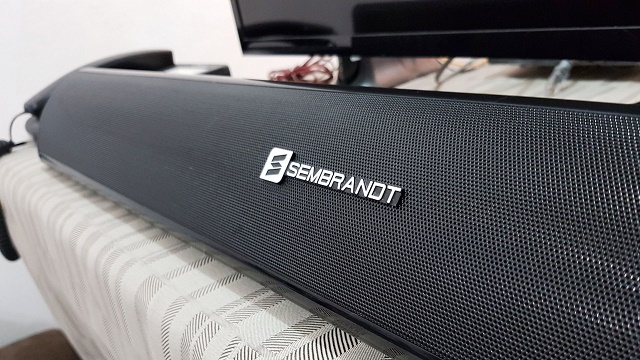 The Sembrandt SB750 is a 2.1-channel soundbar which is capable of giving enough surround experience. I am not at awe on the entire surround. It tends to isolate other parts of the room wherein the center gets the most optimum experience. 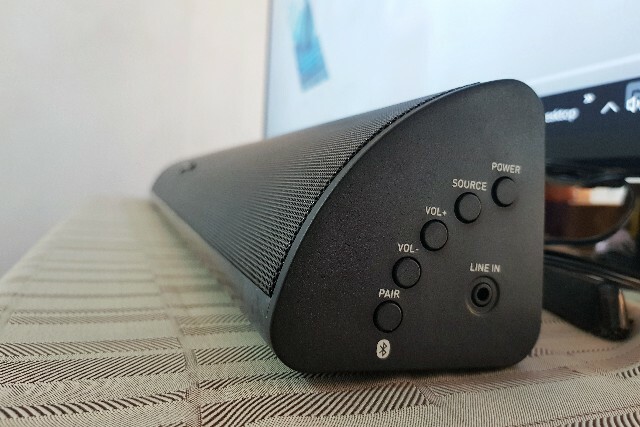 What I like about this Sembrandt soundbar is the fact that it is very generous in terms of connectivity. It's a breath of fresh air to know that it comes with a Bluetooth connectivity on top of the Aux. It can also be installed conveniently whether you want it paired with your LED TVs or any other table top devices like smartphones and consoles. It could also be wall mounted due to the included wall bracket. Plus, it is compatible with standard audio devices due to its 3.5-mm audio jack. There's no HDMI port here, so those who wanted to go the digital audio route will have to pass. There's also no WiFi connectivity. The Sembrandt SB750 also includes a remote out of the box. It is very light to the point that it could be insubstantial. However, the remote functions the way it is supposed to be. Buttons are clickable enough to crank the volume up and down. The best thing about the Sembrandt SB750 is the fact that it's very affordable compared to the value it gives in your living room. For Php 3500 to Php 5000 price range, it's definitely a steal buy. 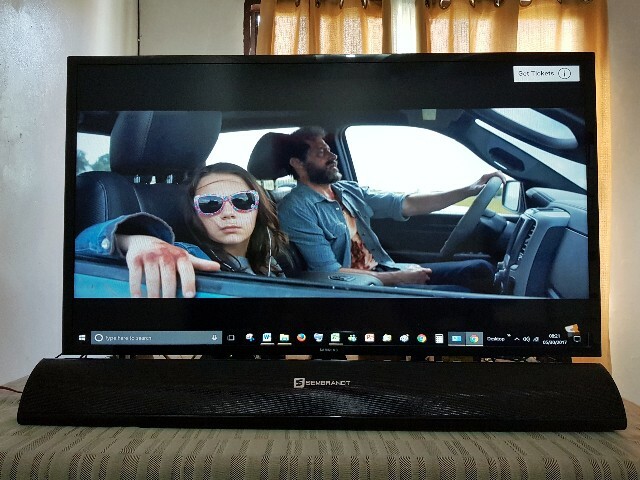 Bass response is very crisp which is very essential in watching movies and listening to songs. 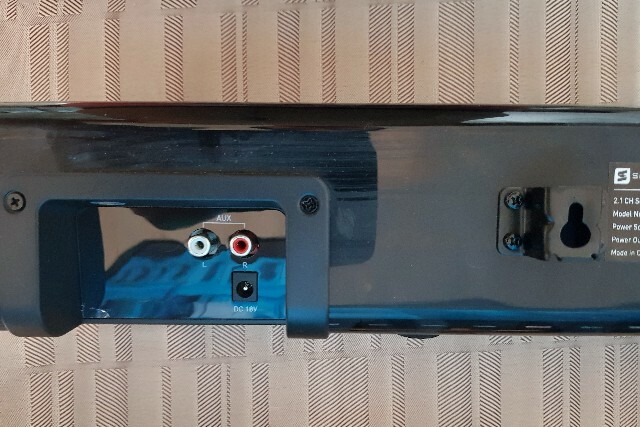 If you're in the market for a great soundbar without breaking the bank, this one's for you.